LG G7 ThinQ to Go Official in Taiwan on June 22 - Playfuldroid! 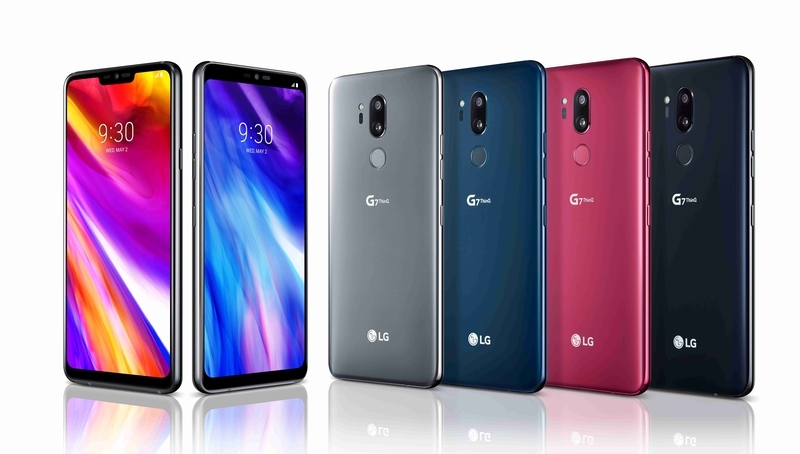 LG had launched he G7 ThinQ in early May and the company is now working on making it available in wider markets. The South Korean company is now expected to debut the unleash the G7 ThinQ in Taiwan on June 22. On the said date, the company will be confirming on the pre-orders, variants and pricing of the smartphone. The G7 was introduced in two variants namely, G7 ThinQ and G7+ ThinQ. Both the phones have identical specs, but they differ in RAM and ROM departments. The G7 ThinQ has 4 GB of RAM and an internal storage of 64 GB whereas the G7+ ThinQ has 6 GB of Ram and a native storage of 128 GB. Taiwan is expected to receive only the G7+ ThinQ phone. The LG G7+ ThinQ features MIL-STD 810G and IP68 rated body. The notched IPS LCD display of the phone measures 6.1 inches. The Snapdragon 845 chipset is present under the hood of the phone. It receives power from 3,000mAh battery. It has a front camera of a8-megapixel and a pair of 16-megapixel snappers on the rear.